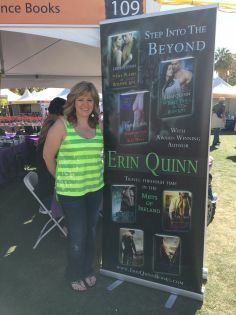 New York Times bestselling author Erin Quinn writes dark paranormal romance for the thinking reader. Her books have been called “riveting,” “brilliantly plotted” and “beautifully written” and have won, placed or showed in the Booksellers Best, WILLA Award for Historical fiction, the Orange Rose, Readers Crown, Golden Quill, Best Books, and Award of Excellence. Go to www.erinquinnbooks.comfor more information or follow Erin on Facebook or Twitter.